Lavender Oil is a natural insect repellent and it smells pretty darn good too! 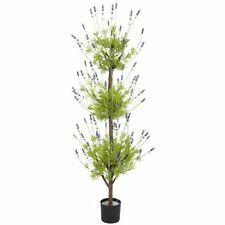 Lavender will work to repel fleas, ticks and other insects but will not kill them. Learn ways to use Lavender oil for dogs below and easy tricks to repel fleas. Many flea treatments on the market today are not recommended for use on young puppies. Using a natural flea treatment is the only sure way to safely treat your young puppy. One of the most common causes of skin irritation and scratching in dogs is fleas. Lavender oil can sooth irritated skin and also helps to prevent infection. Simply add 5-10 drops of Lavender oil to your dogs shampoo and shake. You may also use a Lavender spray and mist your dog before you go out on a walk. Other essential oils you may add in addition to Lavender for a natural flea treatment recipe include orange essential oil, cedar essential oil, and rosemary essential oil. Lavender oil may be used to calm excitable dogs to bring peace to your home. Just like in humans Lavender oil works to reduce stress in dogs. Only pure real Lavender Oil will work not just some fake Lavender scent. How to calm a dog down? From Lavender dogs shampoos to dogs treats that contain Lavender there are many choices. You could even mix in a teaspoon of culinary Lavender buds into your dogs food to give it a try for your dog. Below are two dog treats that contain Lavender which I really do use for my dog Lucy. She loves the chicken the most. I feel good about both products due to the natural ingredients or you could try our recipe for homemade Lavender dog treats with peanut butter. To help prevent fleas from becoming unwelcome house guests use Lavender oil for household chores. Add drops of Lavender oil to your carpet shampoo solution or spray furniture with a Lavender spray. These are just some ideas to repel fleas using Lavender. Sometimes when I know my house is going to be unoccupied by both people and pets I bomb with Lavender oil using my aromatherapy diffuser. This is a simple way to use Lavender oil for fleas. I simply up the output to the max and fill the reservoir up with Lavender oil. I then turn it on and go my way to do errands. When I get back it has shut itself off and my house smells great! The diffuser lets the oil molecules stay suspended in the air and the output is so fine that the Lavender can penetrate furniture and fabrics. You have your Lavender shampoo now get it for your dog. Not only does the Lavender scent help to repel fleas but it also helps calm people and pets. Just look at the choice below of natural Lavender dog care products and try Lavender oil for fleas. We love the Lavender dog shampoo!